I have a check for an annuity distribution. I went to a branch of the account the check was drawn from and was told they did not have those kinds of funds in their branches — less than $50,000. I wanted to cash the check to avoid my bank holding the funds, once deposited, forever and ever. I ended up having to deposit the funds at my bank. I can’t find anything on the Internet that specifically outlines how long a bank can truly, and legally, hold up your funds. 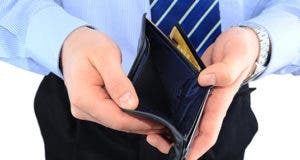 Two banks have told me that federal law prohibits any deposits from being held more than seven business days — my bank is holding 90% of the funds for 11 business days. While I am no expert, I’d bet that my bank will have the funds from the check-issuing bank within three to five business days. Is there any website that specifically outlines hold periods for banks? First, please be aware that I have sympathy for you and your situation. Banks go to great effort to speed check-clearing and funds-transfer processes within their operations. Some treat customer holds as if the bank had to wait for a stagecoach (from the Old West) to arrive. I once had a bank tell me it was going to put a three-day hold on a cashier’s check drawn on that very same bank. The banks know the rules and follow them. You can know the rules, too. While I can understand why it’s not bookmarked on your favorites page, the regulations listing of the Federal Reserve offers helpful information. The document “Compliance with Regulation CC” explains bank hold policies for different types of deposits. To finesse the issue, work on the method of payment. Talk to the annuity company about your payment options. You may be able to get the payments sent as an electronic funds transfer, direct deposit or wire to your bank account. 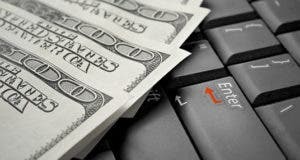 While wire transfers can be expensive, a direct deposit is not. Change of face: 2 men have graced the $10 bill. Which woman will be next? What’s a ‘run’ on the bank? 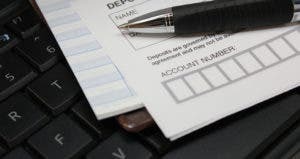 Can a bank charge a fee to cash its check? 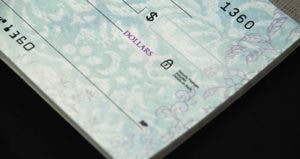 Is my bank to blame for cashing my check?